People living in my corner of the world have been blasted with some of the coldest weather and heaviest snow in more than 50 years. Cabin fever has set in as the snow and cold increases and the amount of sun decreases. For many, this has also brought on Seasonal Affective Disorder, or SAD. The good news is that spring is coming and there is an end in sight for all of us. In the meantime there are some foods and nutrients that may help relieve the grayness of a harsh winter. Research supports the finding that lack of sunlight and vitamin D have been linked to the onset of SAD. While our body is able to make vitamin D when we are exposed to regular sunlight, it is limited even then by the sunscreen we apply to prevent overexposure to sun. Since we are lacking safe access to sunshine, many of us are vitamin D deficient. It is now recommended that we take a vitamin D supplement to assure we are getting enough. Vitamin D is considered one of the most important vitamins for preventing and reducing symptoms related to depression. There are several food sources of this important vitamin we can consider to include in our diet. 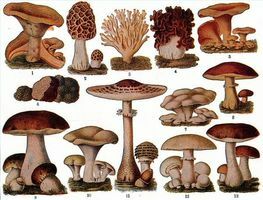 Foods rich in vitamin D include: many types of mushrooms such as Maitake 131% DV, Portabello 64% DV, Chanterelle 19% DV, Morel 23% Dv, and Oyster 4% DV. Other good food sources of vitamin D include Salmon, eggs, tofu and other soy products, almond milk, dairy, cod liver oil, beef liver, fortified cereals and orange juice. The RDA for Vitamin D is 600 IU (international units) for people age 15-60. Other “mood” boosting vitamins and minerals that may help chase away the winter blues include Calcium, Chromium, Folate, Iron, Magnesium, Vitamin B6, B12, Zinc and Omega-3 fatty acids. Calcium is important in maintaining healthy bones and blood vessels. Some studies show that low levels of calcium in women (could not find similar studies for men) may increase symptoms related to PMS and depression. The RDA for calcium is 1000mg per adult. Good food sources for calcium include: Broccoli, collard greens, kale, edamame, bok choy, figs, oranges, sardines, salmon, white beans, tofu, dairy, almonds and okra. Chromium is a trace mineral needed to help the body metabolize food and regulate insulin. Chromium also plays an important role in increasing the levels of serotonin, norepinephrine, and melatonin in the brain which are all critical to regulating mood and emotions. The RDA is 25 mcg for women and 35 mcg for men. Food sources include: Broccoli, grapes, whole wheat products, potatoes and turkey. Folate, or B9 supports the health and creation of cells in the body and regulates serotonin. Serotonin is the brain’s messenger, passing messages between nerve cells and assisting the brain in regulating mood among other things. Folate and B12 are often paired to treat depression. The recommended daily amount is 400 mcg (micrograms) per adult. 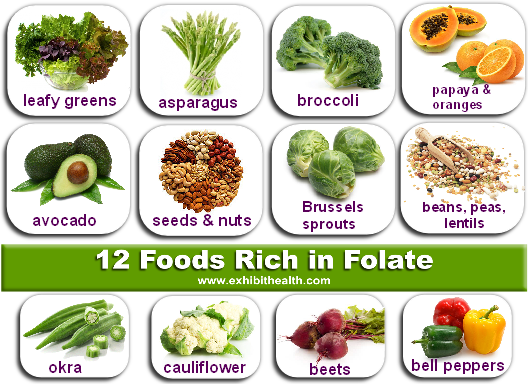 Foods rich in Folate include: leafy greens, avocado, black eyed peas, brussel sprouts and asparagus. Iron transports oxygen through the bloodstream, supports muscle health and energy. Low levels of iron leave us feeling tired and depressed. Iron deficiencies are more common in women. RDA 18 mg for women and 8 mg for men. 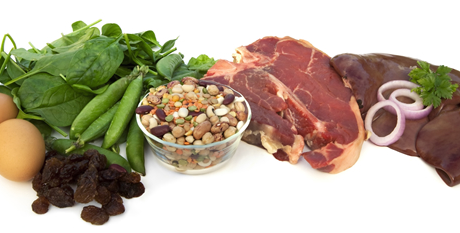 Foods rich in Iron include: Soybeans, lentils, turkey (dark meat) beef or pork liver, clams, mussels, oysters, nuts, leafy greens and fresh ginger. Magnesium is responsible for more than 300 biochemical reactions in the body. It helps to break down glucose and transform it into energy. Make sure to take in enough magnesium daily. The RDA is 300mg women 350 mg men – grab a handful of edamame, cashews, almonds or hazelnuts for snacks; add more whole grains such as millet, quinoa and brown rice and eat fish (halibut in particular). B6 promotes the health of our neurotransmitters. A deficiency of B6 can lead to a weakened immune system, depression, confusion and short term anemia. B6 is known to relieve mood related symptoms of PMS. RDA is 1.3 mg daily for adults. Foods containing healthy amounts of B6 include: Chickpeas, tuna, Atlantic salmon, chicken or turkey (white meat), sunflower seeds, pistachios, bananas, lean pork, dried prunes, avocado, spinach and lean beef. Omega-3 fatty acid is not naturally produced by the body but it is critical to mood health. Deficiencies in omega-3 can contribute to mood swings, fatigue, depression or decline in memory. 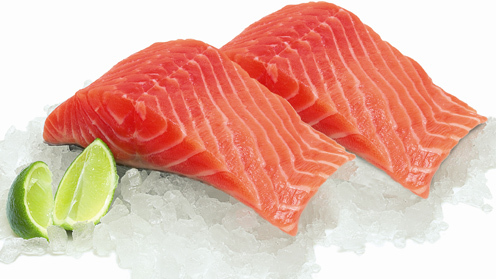 Salmon, sardines, tuna and rainbow trout contain omega-3s. Chia seeds are also a good source. Vegetarians relying on plant based sources may consider supplements as plant and animal omega-3 differ. B12 is critical to good brain health. Our mood depends largely on the signals from our brain making B12 one of the most important nutrients. B12 synthesizes a group of nutrients that are critical for neurological function. Low levels of B12 can contribute to increased fatigue, depression, lack of concentration, mania and paranoia. RDA for B12 is 2.4 mcg. (micrograms)B12 is found naturally in animal proteins such as eggs, beef, fatty fish and pork. It is also added to enriched cereals and breads. Taking a supplement is wise as the body can store what it does not use for a later time. Zinc protects our digestive system as well as promoting a healthy immune system. 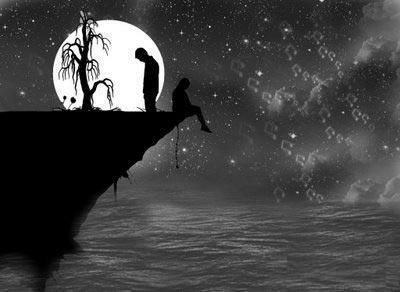 Research has shown that healthy levels of zinc in the body reduce the risk of depression. Zinc has been known to enhance the effectiveness of antidepressants in some studies. RDA is 11mg men and 8 mg women. Foods rich in zinc include: pumpkin seeds, cashews, Swiss cheese, crab and pork loin. Tea – In a study conducted by The Journal of Nutrition researchers linked theanine, an amino acid found in most teas, increased alertness and reduced depression. They believe that the theanine acts with caffeine to boost attention and focus and suggest drinking 4-6 cups daily as a trial. It is really fascinating to learn the many sources and combinations of good food we can include in our diets to reduce our risk for depression and improve our overall health. It takes thought and planning to assure we are eating well but it is truly worth doing! Here is a favorite recipe that includes many of the foods listed in the blog post. Place while beans in saucepan with ½ strip kombu and enough water to cover by 1 inch. Bring to boil, reduce heat to low and simmer for approximately 45 minutes until beans are soft. Check often to make sure the water has not cooked out. Combine quinoa, broth and rosemary in saucepan. Bring to boil, reduce heat and simmer for 10 minutes. Remove from heat and let stand for at least 5 minutes until all liquid is absorbed. While quinoa is cooking, preheat oven 375. Prepare mushrooms by removing stems and rubbing with olive oil. Place cap side up on baking tray covered with parchment paper and sprinkle with sea salt. Roast mushrooms for 5 minutes, then flip them over. Place cooked white beans in bowl and mash with potato masher of fork. Add garlic, lemon juice, pinch sea salt and pepper. Cut spinach into strips and add to bean mixture along with the feta. Stir filling until well blended. Divide the quinoa mixture among the caps. Return to oven and bake for 15 minutes until the filling is lightly browned. Serve immediately. This entry was posted in Cooking for Health, Culinary, Health Coaching, Whole foods cooking and tagged Cooking for Health, Culinary, Diet, Healing, health, Mood, nutrition, recipe, vegan, vegetarian, whole foods. Bookmark the permalink.